This series of product is a kind of one-way control valve. The medium through this valve can only flow in one way. It is in reasonable design and simple structure, with handsome shape and wide application. It is a one-way flow control valve which can regulate the flow of compressed air in air passage. It will control forward flow and not control reversed fl ow, so as to change the one way movement speed of executive components such as air cylinder. This guiding type valve adopts the diaphragm seal structure with quick action, large flow, simple structure, easy maintenance, good waterproof performance and multiple wiring directions. This guiding type valve adopts the diaphragm seal structure,with zero differential pressure starting function, large flow, simple structure, easy maintenance, good waterproof performance directions and multiple wiring directions. Product design, compact, good looks, with the operating force, easy to use and so on. Pneumatic devices were widely used in control devices. This product can be used under high pressure circumstance,safety,has been adoptted widely in high pressure pneumatic equipment such as Blow Bottle Machine,especially apply successfully in equipment that produce special shape,big capacity polyurethane bottle. The high frequency valve of TM series have no influence of working pressure and the performance of large fl ow with low power for adopting the globe valve with structure of balanced pressure type. Any port of No.1,2,3 can be added pressure, act quickly and be used widely such as air blowing, single function cylinder driving, air current branching, pressure choice and vacuum equipments etc. It can be general used in both normal opened and normal closed. It has the characteristics of low consumption power and central exhaust of guiding valve and main valve, with small dimension, large flow, handsome shape, and quick action. It can be installed in integration, with good resistance to abrasion and long service life. This solenoid pulse valve is a flood type valve (also called inset valve). 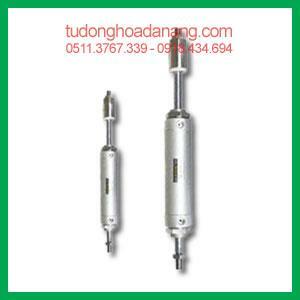 It is directly installed on the air bag with good straight blast and less lost of working air source. It is applied to the situation with wide range of air source pressure. It is controlled by pneumatic signal,applicable to the places where the existence of power source is forbidden. The product is in simple structure, with reliable performance and easy operation. It is widely applied to the inflammable and explosive places such as coal hill,mine, natural gas, etc. There are multiple specifications for your choice. The special design of the TAD Series can eliminate the liquid water and oil collect in the lower chamber of air compressor, separator, air dryer, air filter, drop leg, etc. It can be installed in any position which is not convenient for manual drain, or need more compressed air and more time of drain. It adopts teflon hard seal structure, with reliable performance, anticorrosion, hightemperature resistance, large flow, high pressure, good waterproof performance and multiple wiring directions. This valve adopts direct piston action and quick action, with multiple purposes, high efficiency, long service life, good waterproof performance, multiple wiring directions, handsome shape and adjustable flow. This valve (disk valve) is a kind of compression air switch for blast cleaning system of pulse pocket type dust catcher and is controlled by the output signal from pulse blast controller. It blast cleans the fi lter bag line by line (pocket by pocket) and ensure the cleaning capacity and dust absorption effi ciency of dust catcher. This series is one-way type of auxiliary components, simple structure, beautiful appearance, easy to use, pneumatic components or device used to quickly exhaust the occasions. It is a foot control valve, widely applied to all kinds of pneumatic system. With small operation force, and emancipation of hands. The R and P ports of two position & three-port valve can be interchangeable to change the normally close to normally open. This flashboard valve adopts the air operated model control, with long life, perform reliably, Easy to operate and it is suitable in the place which refuses the power source. This valve has direct action type piston and quick action, with multiple purposes, high efficiency, long service life, good waterproof performance, multiple wiring directions and handsome shape. It is similar to the combination of two one way valves with two input and one output. In the pneumatic system, it acts as “OR” of logic in both executive loop and control loop. It has the characteristics of low-consumption power and central exhaust of guiding valve and main valve, with small dimension, large flow, handsome shape, and quick action. It can be installed in integration, with good resistance to abrasion and long service life. It is a one-way directional control element and can discharge the compressed air in the system rapidly. It is normally installed between the air cylinder and change valve and makes the air in the cylinder escape directly through this valve, not through change valve. It is applied to the locations where the quick discharge of pneumatic units or equipments are required.